Pork Ribs Sinigang is a one complete meal. It’s a soup, main course with a lot of vegetables inside it. All you need is a hot steamed rice and you’re ready to get stuffed. 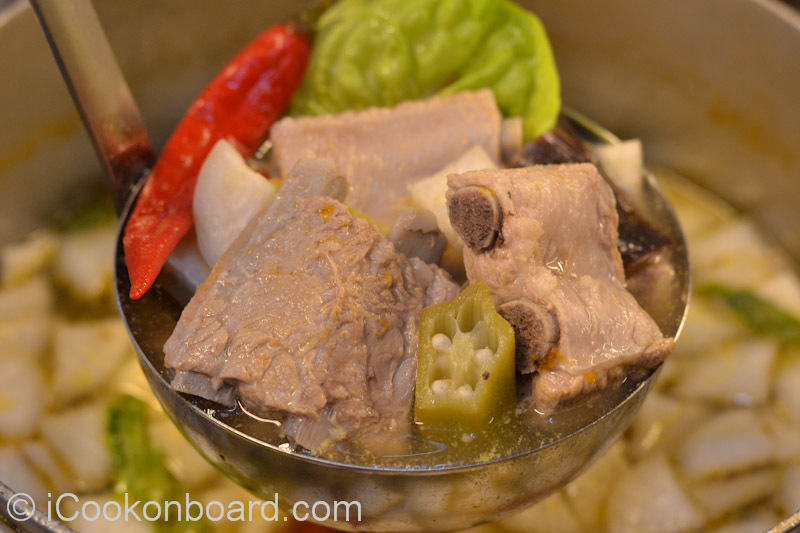 Pork Sinigang can also be pork belly, head, hock/knukles, shoulder or neck. 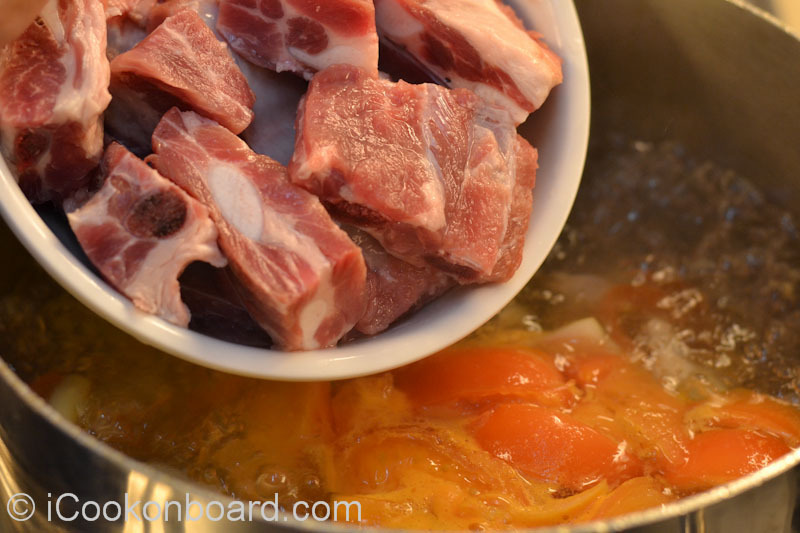 I just like to use ribs for the bones creates a nice rich taste of soup stock that will make a good sinigang soup. Also a lot of locally grown vegetables can be added to sinigang defends on availability and personal taste. 200 grms. white radish, peeled, cut lenghtwise and sliced thinly. 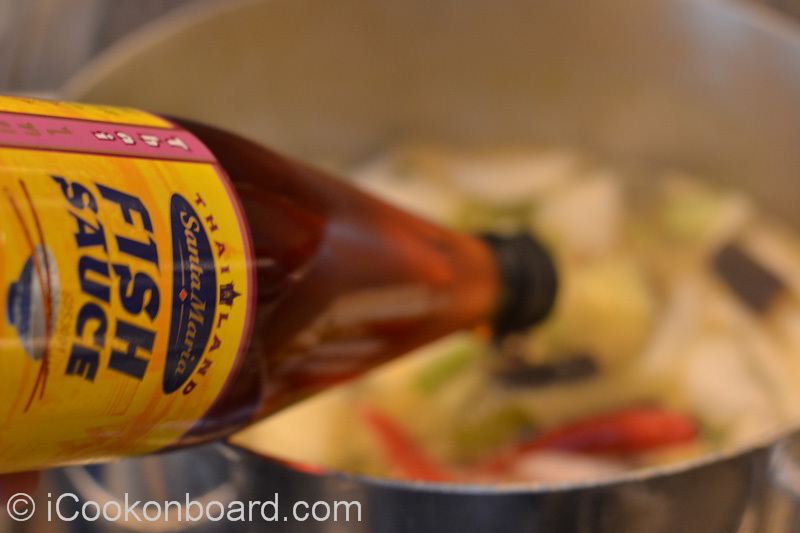 Sea salt and fish sauce to taste. Cut pork ribs into chunks. 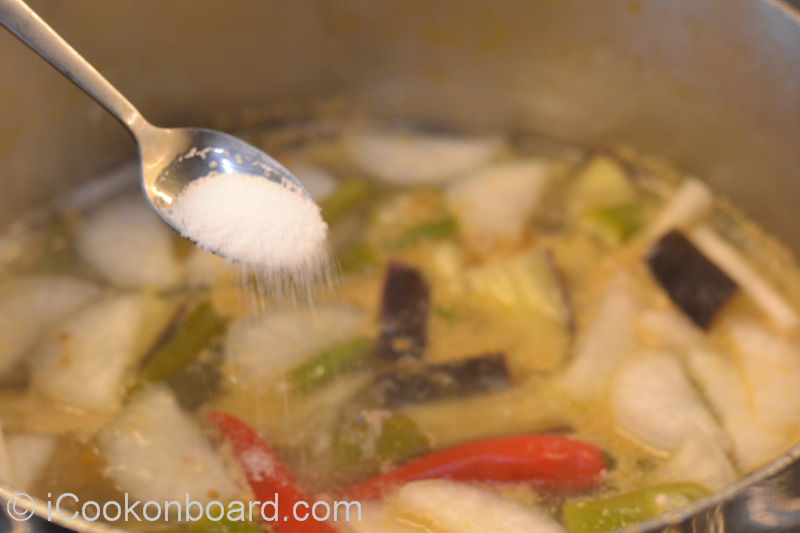 On a large soup pot, bring water to a boil and add the onions, tomatoes and taro. 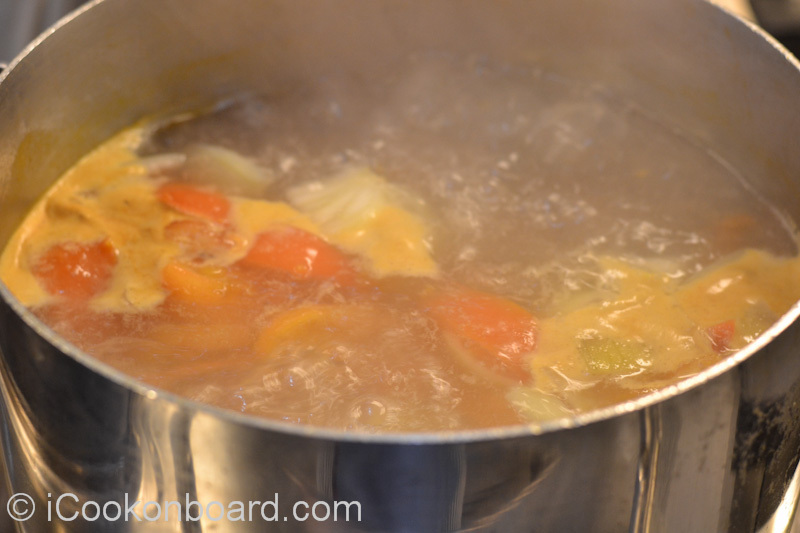 Add the pork ribs, bring the soup back to a boil. Using a soup laddle skim off and discard the scum that will float. 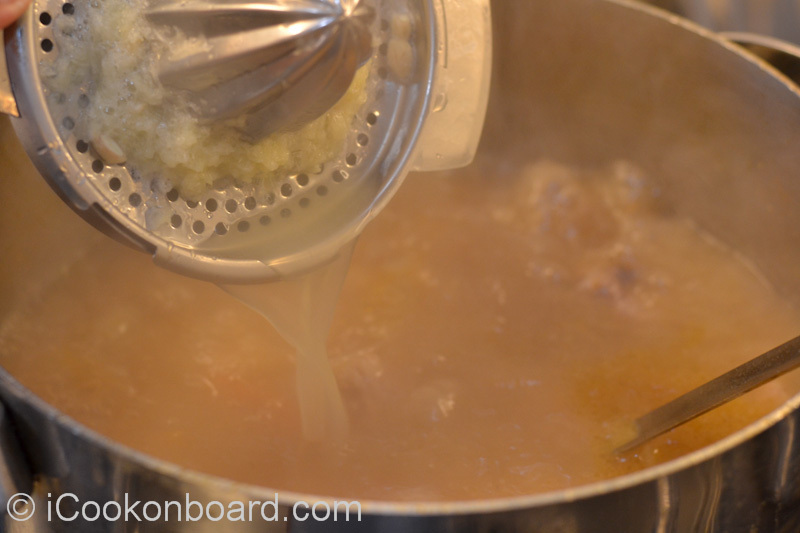 Lower heat, cover the pot and simmer for an hour or until pork ribs is tender. Add the white radish, eggplant and red/green chilli long. Let it cook for a couple of minutes. Add the green beans and okra. Season with fish sauce and sea salt to taste. 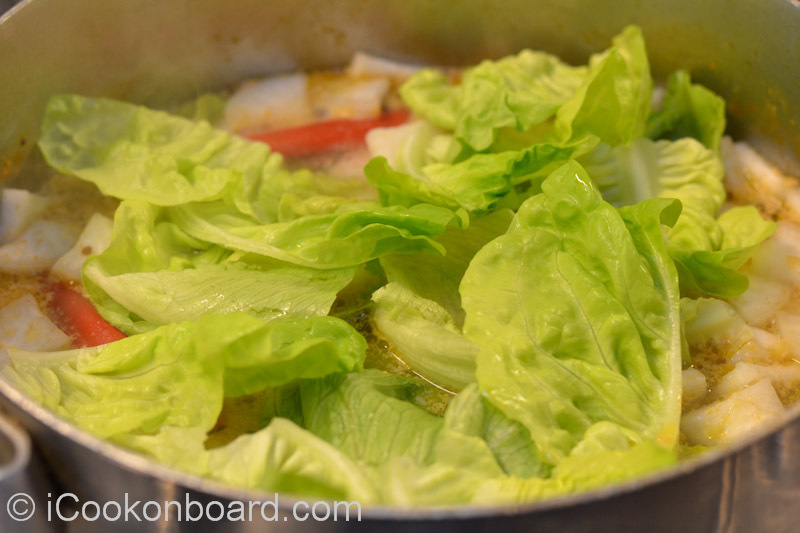 Add the lettuce just before serving. 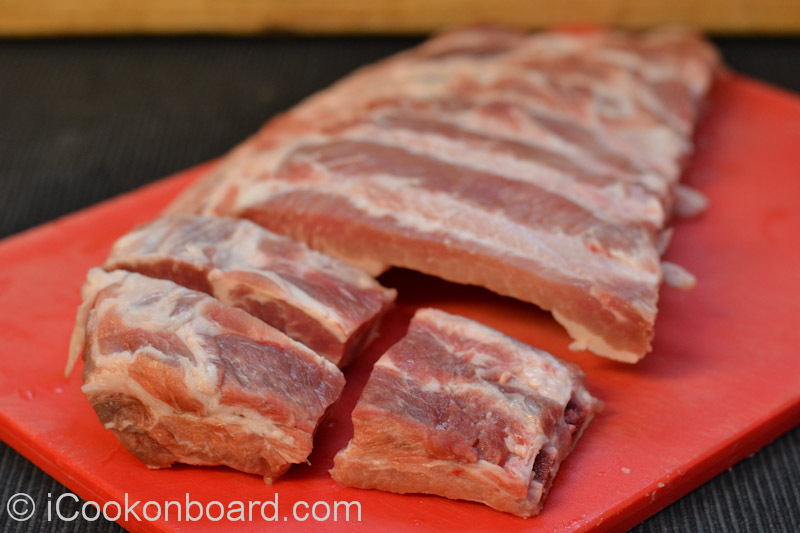 Cut pork ribs into chunks. 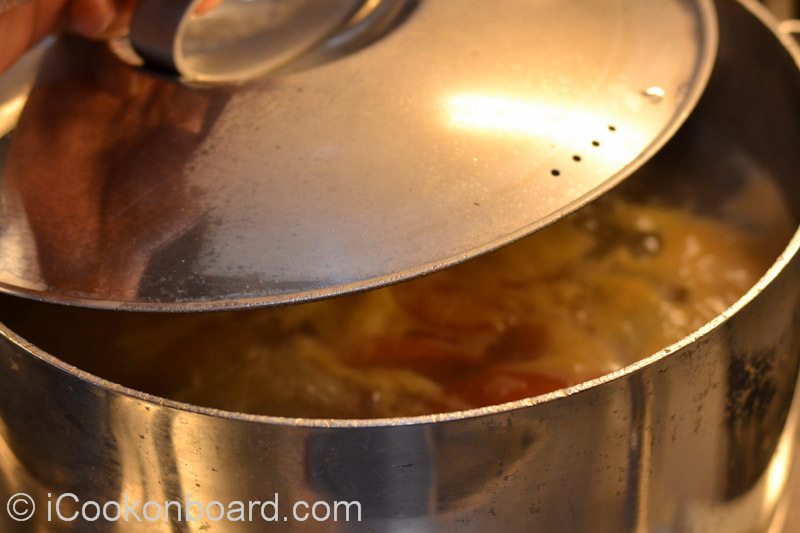 On a large soup pot, bring water to a boil and add the onions, tomatoes and taro. Using a soup laddle skim off and discard the scum that will float. Lower heat, cover the pot and simmer for an hour or until pork ribs is tender. 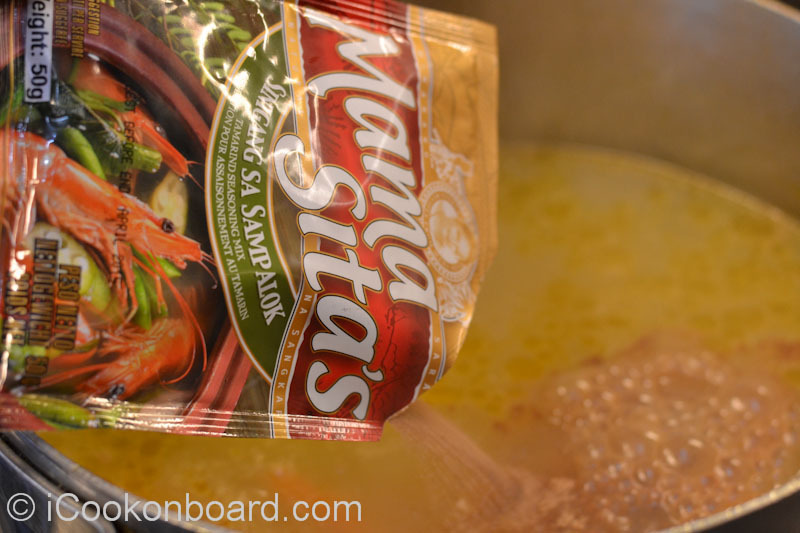 Pour in the tamarind soup powder (sinigang mix powder). 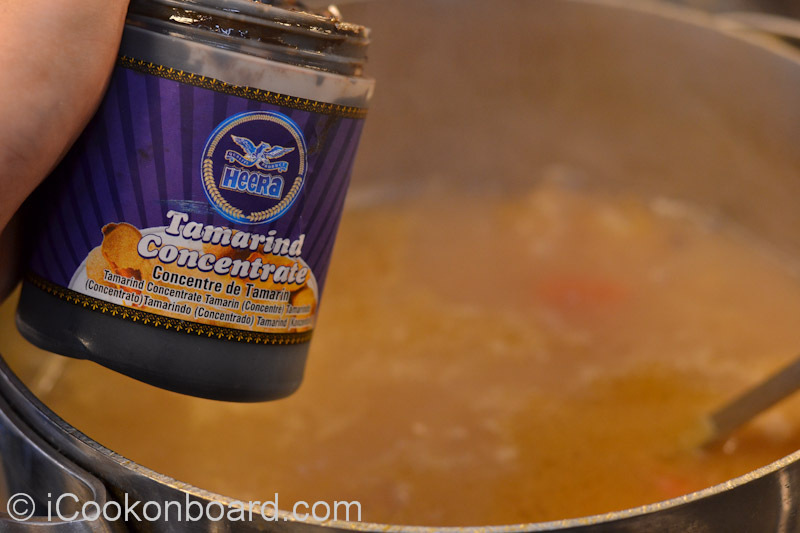 Lemon juice is a good alternative if the tamarind powder and concentrate is not available. 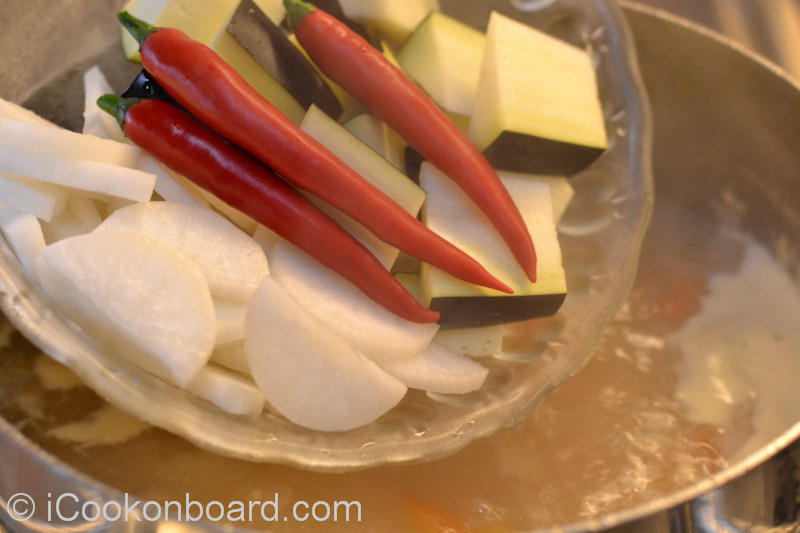 Add the white radish, eggplant and red/green chilli long. 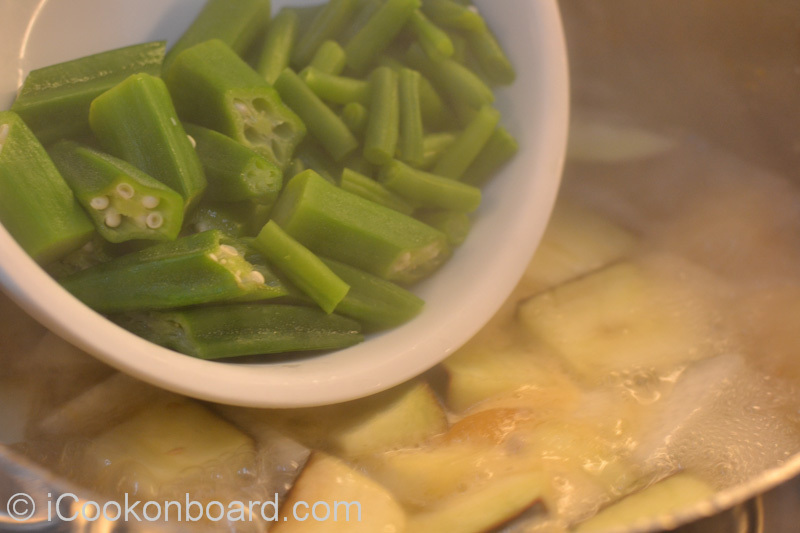 Add the green beans and okra. and sea salt to taste. 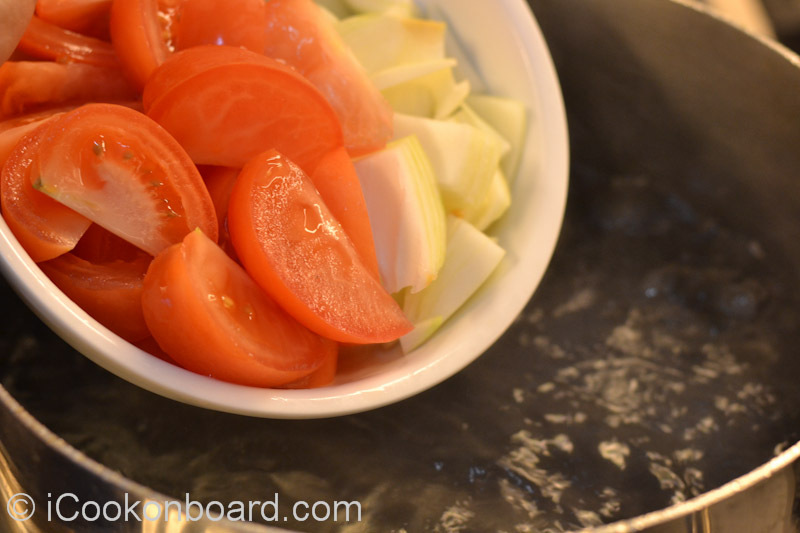 Onboard, I use iceberg or romaine/cos lettuce. 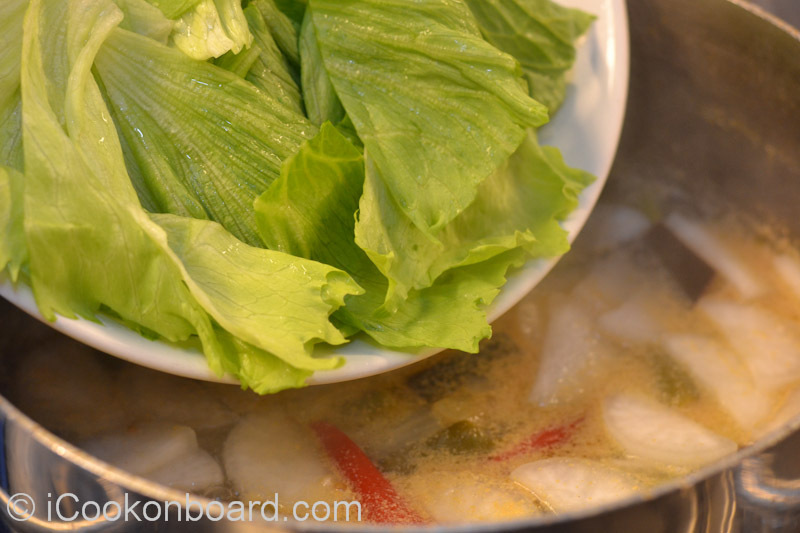 At home, kangkong leaves is best to use if available. for your crew onboard or love ones at home. when the next piece is out. Thanks!